Estate diamond and sapphire anniversary or engagement ring: Description by Adin Antique Jewelry. Diamonds: 16 rose cut diamonds. We do not have the weight of the diamonds which is normal in our trade when it comes to rose cuts. 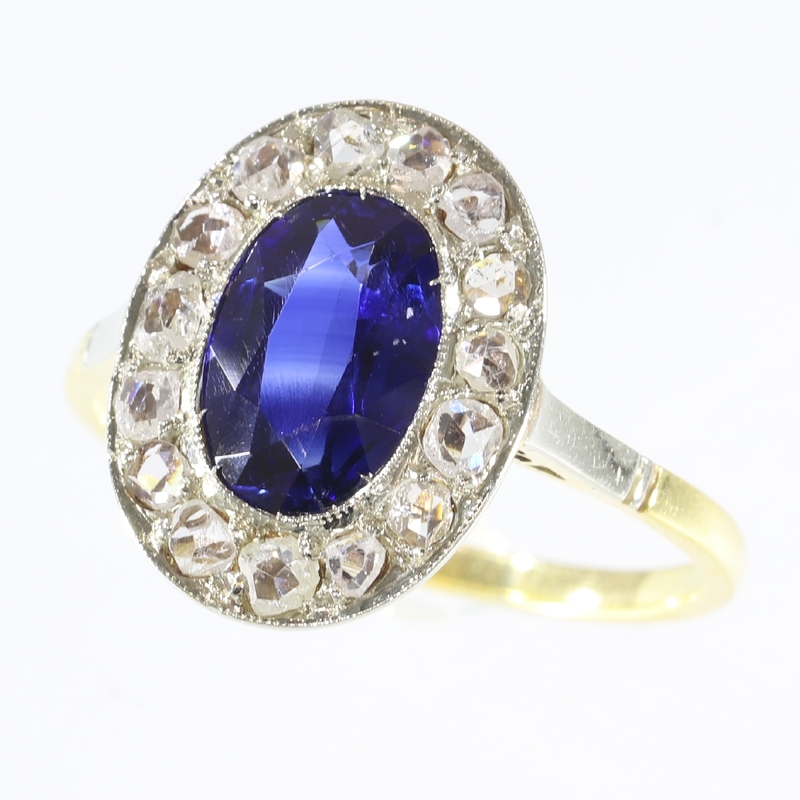 Precious stones: One oval cut One sapphire (lab produced) (also called verneuil sapphire).